I never got a reply from Orange. However, I recently got a new GPU and Heatsink/Fan for my CPU. 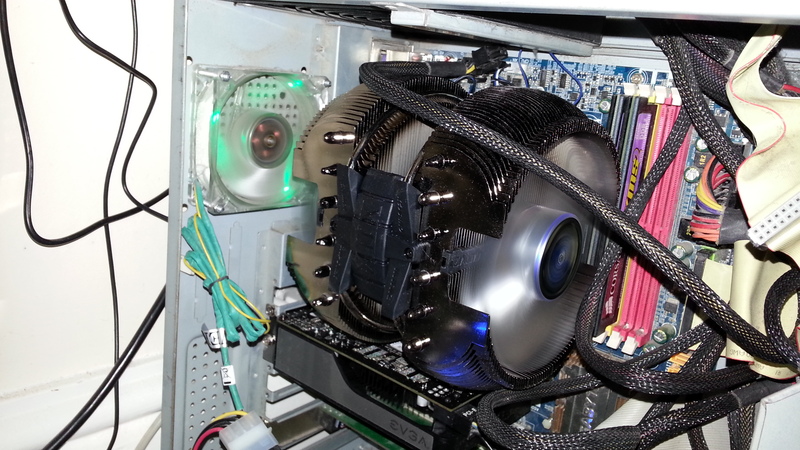 The Heatsink/Fan is a Zalman CNPS12X and the GPU is an EVGA nVidia Geforce GTX 650. Zalman CNPS12X, Monster of a Heatsink! This is the new beast that has taken up the task of keeping my CPU cool while I game. It has been in for a few days now and the temperature never exceeds 35°C. It is super quiet too. Quieter than I thought. It is massive though. I previously had a Zalman but it was the CNPS9500 and I thought that was big. Zalman nVidia CNPS9500, A baby compared to the CNPS12X! The CNPS12X was a brilliant heatsink but it slowly died and was only able to work on the lowest speed setting. It has to be replaced. Below you will find the specification for each heatsink for comparison. 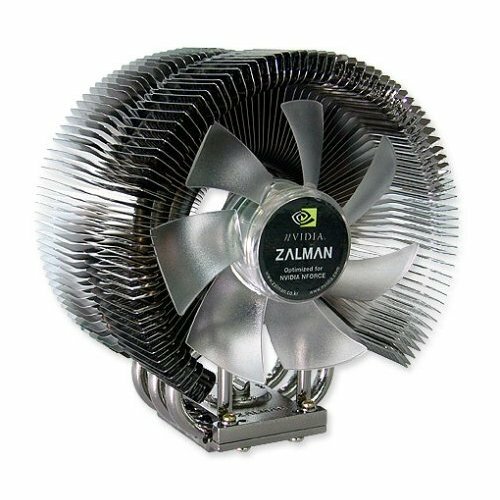 These are taken from the Zalman website. You will notice that the CNPS12X is A LOT larger than the CNPS9500 and in turn has a larger dissipation area for the heat. Although the CNPS9500 ran at a faster speed, the CNPS12X cools a lot better as it has THREE fans compared to the CNPS9500’s one. Again, in turn, the CNPS12X runs, on average, quieter because of the lower speed. It was a bit of a pain to fit as I had to take the motherboard out of the case, remove the existing heatsink clip support backplate and install a brand new one that can support the weight and size of the CNPS12X. After doing so, I had to install a new clip support on the front of the motherboard. Everything came supplied and had detailed instructions. 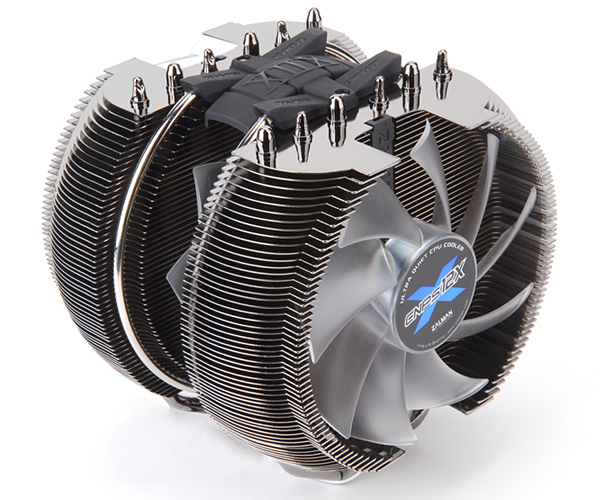 It is a brilliant heatsink and if you are looking to upgrade, I would recommend it. Just be sure you can actually fit in inside your case with enough space for the other components and air to circulate properly. 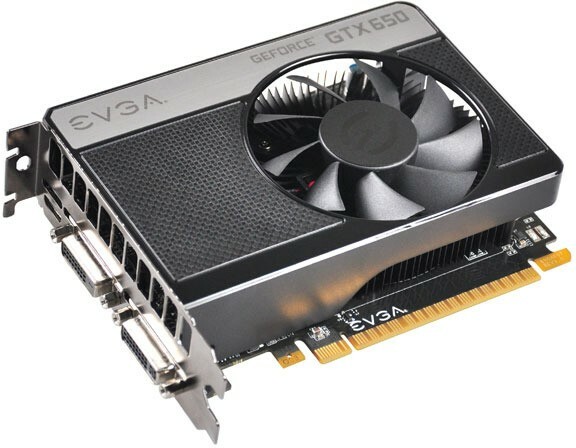 EVGA nVidia GeForce GTX 650 Super-Clocked. When I first built my Gaming Computer back in 2008, it had two Palit nVidia Geforce 9800 GT in it using SLI. One of them eventually died last year and the performance in games that supported SLI dropped significantly and also with games that supported PhysX. I added a spare 9500 GT to the system to use as a dedicated PhysX card but there was not much improvement at all. Eventually, I decided to replace them both with a new card from the nVidia 600 series. I looked around and the only one I could afford easily right now was the EVGA nVidia Geforce GTX 650 1GB Super-Clocked card. It is a good mid-level card in the 600 series but being Super-Clocked out of the box, it has a slight performance advantage over the other GTX 650 cards available. It also didn’t hurt that it came with a code for Assassin’s Creed III – Special Edition that was redeemable on Ubisoft’s UPlay. Oh and a voucher for £50 worth of in-game items for three Free-to-Play games; Hawken, Planetside 2 and World of Tanks. I have not redeemed this yet and I am still deciding what to do with it. I have seen a vast improvement in performance in several games including Borderlands 2, The Elder Scrolls V: Skyrim, Hitman: Absolution, Sleeping Dogs, Saints Row the Third, Total War: Shogun II, ArmA II: Combined Operations and even ArmA III Alpha. Some of these could not be run at maximum or near maxiumum quality settings without dropping below 20FPS and now that can run on maximum, or near maximum comfortably. 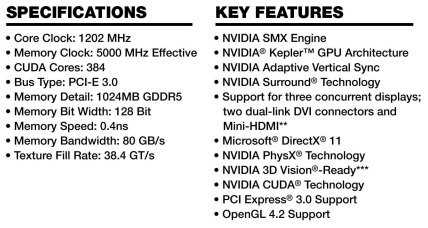 EVGA nVidia Geforce GTX 650 1GB Super-Clocked Specification. The specification above shows that it is a very good card for around the £100 mark and if a quick and cheap upgrade is required, I recommend it! The CNPS12X installed and running inside my Rig. EVGA GTX 650 installed and running inside my Rig. This entry was posted in Technology and tagged Component, Computer Component, CPU, EVGA, GeForce, GPU, GTX, GTX 650, Heatsink, nVidia, PC Component, Zalman by NicholasTimothyJones. Bookmark the permalink.